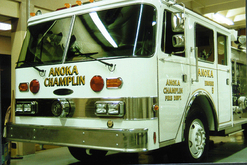 Altoona Fire Department graphics ready to ship to Altoona for installation on Engine. 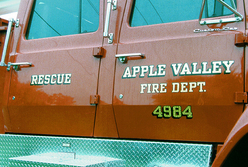 Altoona FD sent photos and measurements for matching existing graphics. 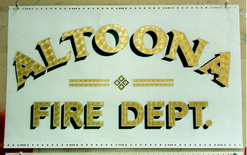 Altoona sports 23k Encapsulated Gold Leaf lettering with a beige outline and black cast and dropped shadow. 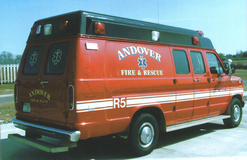 Andover is our home town fire department, and we spent 8 years serving with Andover Fire and Rescue. 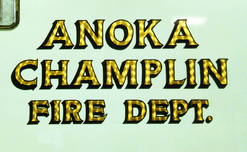 This experience honed our interest in surface gold leaf, especially for the fire service. 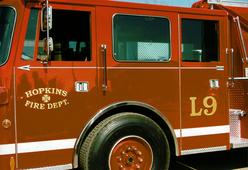 We also came to understand the importance of decorating and maintaining the fire vehicles in the best possible manner. 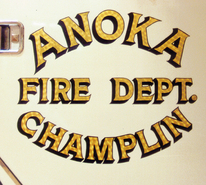 The highest level of regard for equipment brings out pride, devotion and camaraderie in the spirit of the paid-on-call professionals who serve our communities so selflessly. 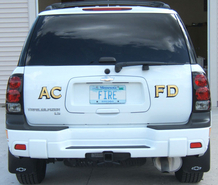 Thank you AFD! 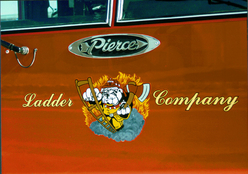 We love you and we miss you! 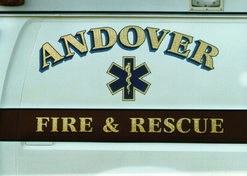 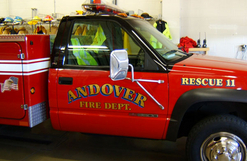 Andover Fire Department vehicles are 23k Gold Leaf lettering with a unique "stars and stripes design to the burnish pattern in the gold. 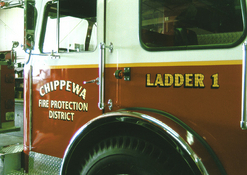 The main copy has a black outline and 2 color blue 'split' shade. 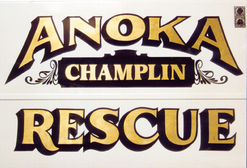 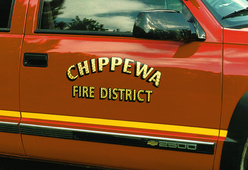 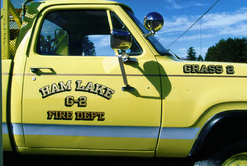 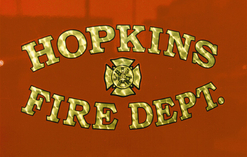 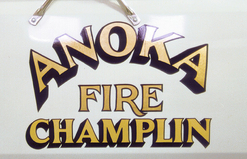 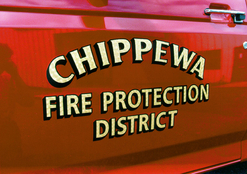 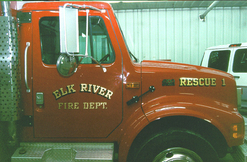 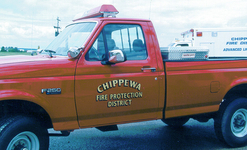 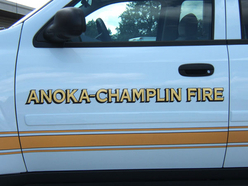 An interesting problem to solve: When the cities of Anoka and Champlin decided to join their fire departments into one department, the name "CHAMPLIN" had to be added to all the trucks in a way that made it look intentional and matched the style - and condition - of the previous lettering. 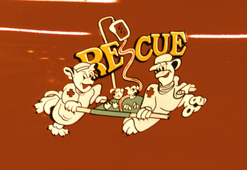 Des Moines Fire Dept. 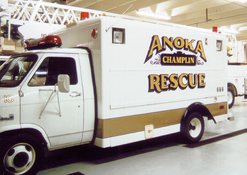 graphics are prepared and shipped to the manufacturer for installation before the trucks are delivered. 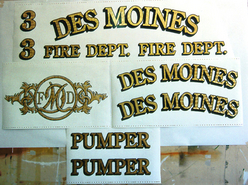 DesMoines has a custom layout and scroll design that matches a design used for decades. 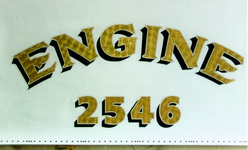 The graphics are 23k Encapsulated Gold Leaf with black outlines and shadows. 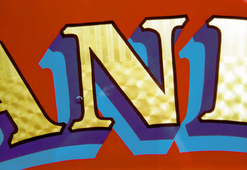 The scroll has white highlights added.